What Eats Crabs in the Ocean? Crabs have many predators in the ocean. If not a larger species, sometimes crabs even prey on their own. 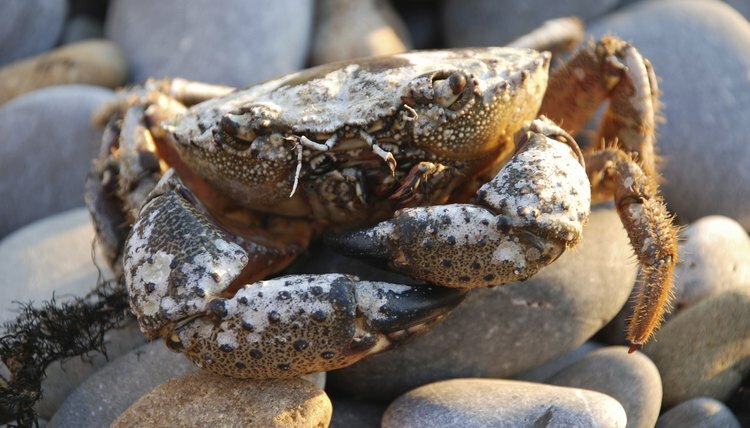 With pinchers and hard shells, it is hard to imagine what finds crabs so worth all the stress. However, perhaps ocean creatures know, like land lovers, what the taste of crab meat is like, even without garlic butter sauce. The jaws of an octopus are known as the beak. These are very sharp, and the bite of an octopus may inject poison. 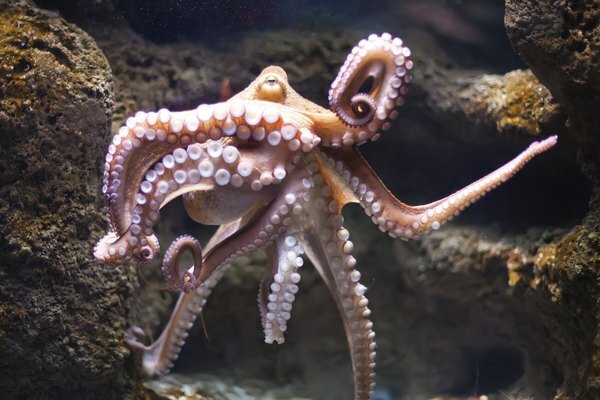 First, the octopus catches the crab by landing on top of it, then uses the suction discs to capture it and finally bite into its hard shell. For crabs, the bite is fatal, paralyzing the crab so that it no longer uses its pinchers to thrash, allowing the octopus a tasty crab leg dinner. Dog fish, sharks, striped bass, jellyfish, red drum, black drum, cobia, American eels and other fish also enjoy crabs. As larvae and juveniles, crabs are especially vulnerable to attack by smaller fish, sea rays and eels. 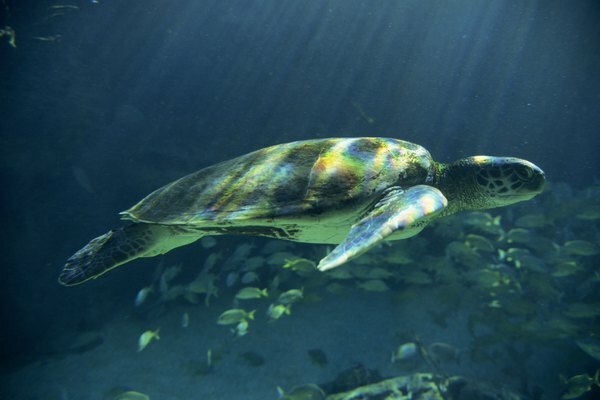 As they grow older, turtles like to munch on crabs, as their jaws are powerful and able to crunch through the tough shell. In addition to crayfish, fish and frogs, sea otters love a crab meal. In fact, cape clawless and Asian small-clawed otters feed mostly on crabs. 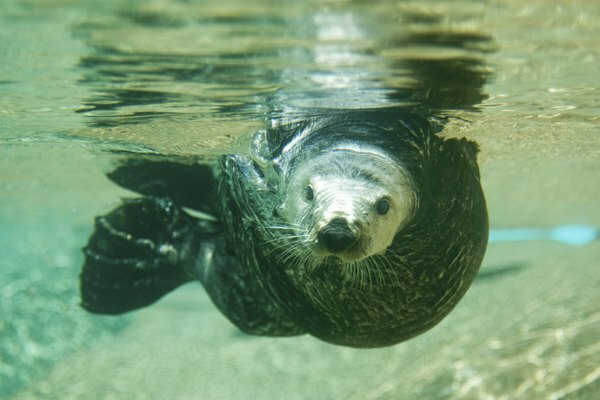 Sea otters eat about 25 to 30 percent of their body weight, so otters go through a lot of crab in one day. Seals also like to feast on crustaceans such as crabs. In fact, the crabeater seal from Antarctica is named for its love of crab. However, mostly these seals like krill. Another variety of seal that loves crabs is the Weddell seal, another mammal of the Antarctic Ocean. Adult blue crabs are especially known for their cannibalistic nature when it comes to eating their friends and family. 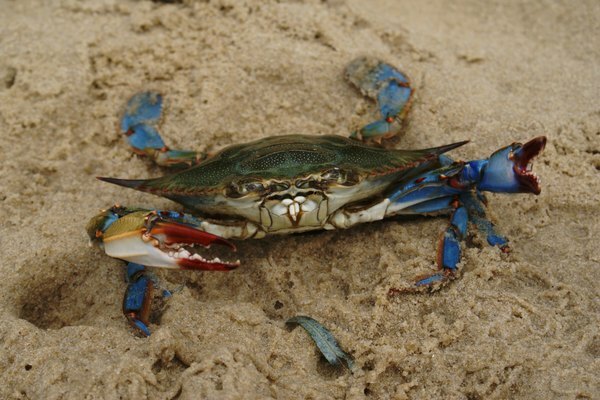 Smaller or weaker blue crabs with issues such as missing limbs, bad health, parasites or other disabilities are the first to go in the blue crab's chain of command. Younger species of crabs are especially vulnerable to older, larger crabs who have no preference for what they eat while scavenging the bottom of the ocean. Badhonhara.com: What Does An Octopus Eat?